Proslat Heavy duty long U-hook. 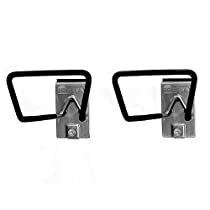 Perfect for holding bikes, ladders, pressure washers, etc. Made of heavy duty welded steel powder coated in Proslat Silver. 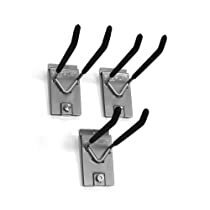 Rubber tipped hook protects finishes of items being hung. Hooks can hang up your bike to alleviate floor space. 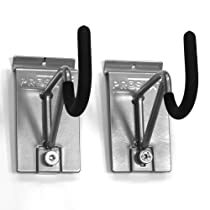 Each hook can hold up to 50 pounds. 2-pack.